New North Carolina State University research shows that tequila’s surge in popularity over the past 15 years has been a boon for industry, but is triggering a significant hangover of social and environmental problems in the region of Mexico where the once-notorious liquor is produced. 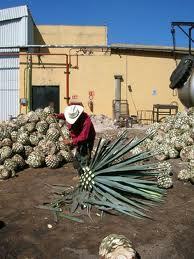 Tequila is distilled from the blue agave plant and, according to Mexican law, can only be produced in an area encompassing the state of Jalisco and parts of four other Mexican states. This sort of distinction, known as a “geographical indication” (GI), conveys the geographical origin of a product, as well as its cultural and historical identity. Tequila and other GIs, such as Champagne and Napa Valley wine, are protected by a complicated set of organizations, agreements and laws worldwide that tie production to a specific place – making it impossible to outsource. But the new study, co-authored by NC State’s Dr. Sarah Bowen, shows that the tequila GI is neither socially nor ecologically sustainable, and may serve as a lesson for other regions in Asia and the Americas that are currently trying to establish GIs.